There have probably been more pleasant introductions to a country. As the sliding doors at Iceland’s Keflavík airport parted, and before we had placed a foot outside, gale force winds and driving rain attacked us from out of the darkness and threatened to send us tumbling back to the hire car desk. This wasn’t the start I was hoping for. After many years of enduring not-so-subtle hints about my desire to visit Iceland (the response to which was usually along the lines of, “Why? Why would I do that?”) my wife, Sarah, had finally capitulated. While I suspect her acquiescence was more an attempt to bring an end to the subject than it was a reflection of any personal desire to head up towards the Arctic Circle in November, there we stood, about to begin a five-day, self-directed exploration of the country. Armed with our Lonely Planet book (a constant and essential companion on such trips) and a trusty, folding map, the only semblance of a plan we had was to head towards the south east on the first day; the uncertain effects of jet lag dictating how far we might actually get. One certainty, that revealed itself within the first five minutes, is that there is nothing more effective to take your mind off of jet lag than driving for the first time in an unfamiliar country, in the dark, as rain lashes against the windscreen and the wind attempts to lift your car off of an unlit road. At 7:00am in early November, Iceland still has a couple more hours of darkness to come. Consequently, for the first part of our journey, we had no sense of the landscape around us. Although our headlights would occasionally offer a tantalizing glimpse, or an approaching vehicle would provide a fleeting perspective, our surroundings were essentially invisible. To get to the south coast – in fact, to get anywhere in Iceland beyond the western peninsulas or the immediate vicinity of Reykjavík – the Ring Road (the “1”) that circles the island is the only option. Having decided upon an indirect route that took us to Grindavík and along the south west coast, darkness was receding by the time we reached Selfoss and turned onto the Ring Road. As the only route around the country, I braced myself for the traffic mayhem that must inevitably lie ahead. I doubt we saw more than a dozen cars in the next half hour; a number that continued to decline as we moved farther east. It often felt as if we had the place to ourselves – which isn’t too far from the truth. I shouldn’t have been surprised. Iceland is slightly smaller than England but its population of 320,000 is less than 1% of my homeland’s. On average, there are over 1,000 people crammed into each square mile of England; in Iceland that number is eight. If you were to remove the population of Reykjavík and its surrounding capital region from the calculation, the number of people per square mile drops to three. The person who first coined the phrase “Open Road” was probably Icelandic. The sun continued to struggle to break through a leaden sky, but was doing a decent enough job to reveal the Fljótshlið hills, the looming ice caps in the distance and (visible from the Ring Road) the Seljalandsfoss waterfall. 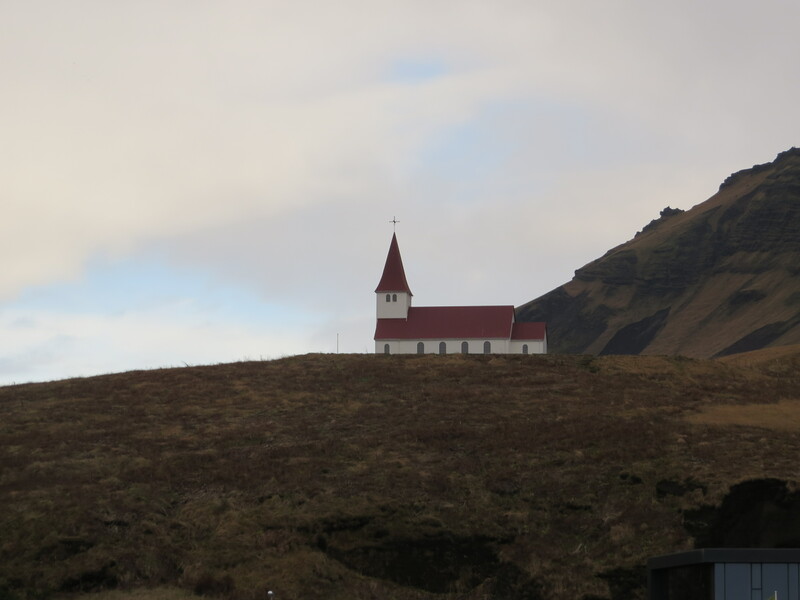 The latter gave us our first stop of the day – and a lesson in Icelandic parking etiquette. As you get out of your car, make sure you have a firm hold on the door. If you don’t the wind will rip it from its hinges and send it sailing into the distance – or into any car parked nearby. Neither outcome is particularly popular with hire car companies. Seljalandsfoss is magnificent. The water rushes over the rocks high above into the dark pool below and continues its journey down crystal clear streams. The juxtaposition of power and purity is enthralling. Little did we know what was in front of us, or how often that combination would repeat. Shortly, we arrived at the foot of the Eyjafjallajökull (ay-ya-fiat-la-yo-gootl) glacier. Originally named to provide the locals with some entertainment as foreigners mangled its pronunciation, in 2010 the ash plumes from the eruption here infamously grounded 1,000s of transatlantic flights and caused far-less-reported devastation to the livelihoods of local farmers whose lands were decimated by the ensuing inundation of flooding ash. Today, as the glacier looms quietly in the distance, it’s difficult to comprehend the power that lies beneath it. We stopped for lunch at Vík, the southern-most point in Iceland. My jet lag now refused to be ignored, making the stop a necessity. After a stroll on the black sand beach that was being pummeled by the waves of the north Atlantic, and restored by a hearty serving of lamb goulash and a medicinal coffee, we hit the road again. By now, I had become accustomed to being at the wheel of one of the only cars on the road. I took to driving down the middle of the road, straddling the central line. This increased my room for correction should a sudden gust of wind threaten to throw the car off of a road often perched ten feet above the land through which it was passing – or if my eyes wandered for a few seconds to take in the majestic beauty of our surroundings. The 140km between Vík and Skaftafell – our next intended stop – took the awe-inspiring Icelandic scenery to another level. It was becoming difficult to resist the temptation to stop the car and applaud what we were seeing. Vast, endless deltas of black sand to the right; ragged mountains and pristine glaciers to the left competed for our attention. Somehow, they both won. As we got within two miles of Skaftafell, we were mesmerized by the glacier tongues that run down from the vast Vatnajökull ice cap, Europe’s largest. Ten miles later, we were still two miles away. The sheer scale of the place was so immense that nothing seemed to be getting any closer, no matter how far we drove. Somewhat surprisingly, and with the laws of physics restored, we did eventually arrive. A brief – and, yes, wind-buffeted – stroll to the Skaftafellsjökull glacier followed. Again, we had the place to ourselves. Anywhere else in the world, a location such as this would be overrun by coach parties and an unfortunate collection of souvenir stalls and fast food outlets. This was pure, unadulterated nature. It was around 4pm as we left Skaftafell and ahead lay our target for today, the Jökulsárlón glacier lagoon. Despite everything we’d seen since our arrival, nothing prepared us for what we were about to witness. Earlier in the day, Jökulsárlón was simply a name on a map; by the end of the day it was our favourite place on earth. 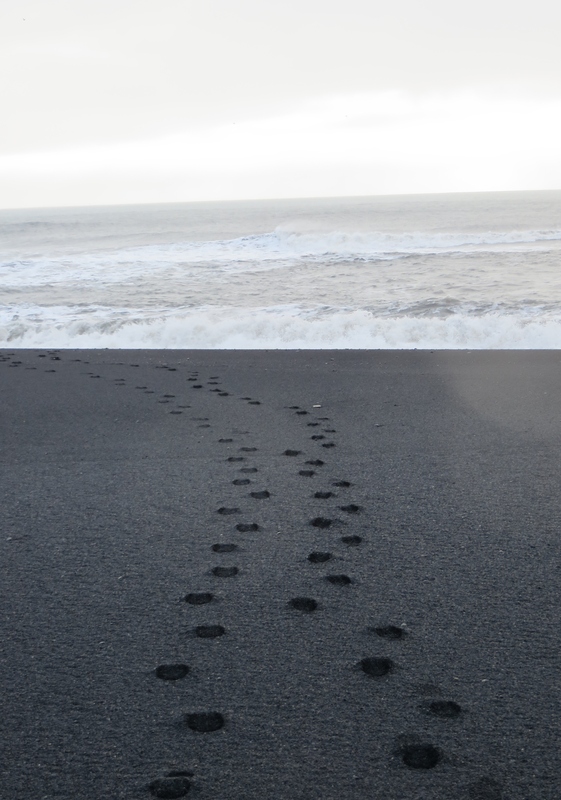 Turning off of the road, we were confronted by a black sand beach littered with icebergs. Each of them, perhaps years earlier, had broken off of the nearby Breiðamerkurjökull glacier, made their way (at what I can’t resist calling a glacial pace) across the lagoon, through the channel and out to sea. There, the tide sweeps many up onto the beach to take their place in an eerie graveyard of ice. Confronted by this unimaginable site, we simply couldn’t stop taking photos – in the vain hope that a small, coloured rectangle would be able to translate an incredible scene into something more comprehensible. The way the light from the setting sun, framed by what was now a clear blue sky, played with the ice was surreal – in the truest sense of the word. We couldn’t pull ourselves away. We virtually danced through the ice as our smiles broadened to clown-like proportions. I’m not sure either of us blinked while we marveled at the scene. Reluctantly, we departed and sought a place to stay for the night. Our faithful Lonely Planet companion suggested a couple of accommodation options in the vicinity and, still in a state of euphoria, we arrived at the Hali Country Hotel and happily occupied one of what must have been multiple free rooms. After a quick dinner, the jet lag we had frustrated all day long could no longer be denied. We had just had a day we’ll likely never forget; a day that pushed the limits of the English language as we attempted to describe what we were seeing. Iceland seemed to be saying to us, “You think this is good? Just wait until you see what I’ve got around the next turn!” As we succumbed to sleep, it was difficult to imagine how tomorrow’s next turn could improve upon today’s. We would not have to imagine for long. 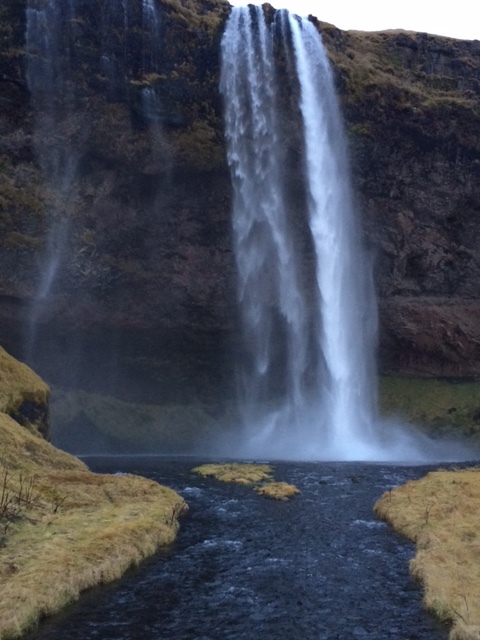 We returned to Iceland in November 2016, retracing many of the steps we had taken two years earlier (as recounted in this article and in the rest of the series). In 2014, people thought Iceland was experiencing a massive increase in tourism. Little did they know. In the two years since, the number of visitors to this remarkable country has exploded. Tourist numbers increased by 82% from 2014 to 2016 – rising from 970,000 to 1,767,000. This growth was fueled in large part by a staggering 173% increase in visitors from the U.S. over that same period. This kind of growth has consequences. Yes, the roads are still relatively quiet compared to the rest of Europe, but you now have to work a lot harder and travel much farther for the solitary experience. Book ahead. Book your rental car when you book your flight – and don’t leave either to the last minute. Do not expect to turn up at Keflavik airport and have your choice of rental cars. Unless you’re very fortunate, you will be disappointed and quickly out of options. The same applies to accommodation. As an example, we stayed in the Hali County Hotel in 2014 and 2016. On our first visit, we were one of two couples in the hotel’s restaurant. In 2016 (at the same time of year) each of the dozen or more tables was occupied – and people were waiting to be seated. Judging by the number of cars outside the rooms, the hotel seemed to be full, too. If you do not book ahead, there is a chance that you will be lucky enough to find an available room, but the chances of doing so are decreasing with each passing day. If your first try is not successful, expect the drive to the next accommodation option (where you may also be unsuccessful) to be a long one – particularly away from the Capital Region. Get up early. The major tourist sites, particularly the Golden Circle of attractions within day trip distance of Reykjavik are now swamped by coach parties by late morning. You won’t be alone at first light, but at least you’ll have a better chance of seeing what you came to see. Attractions such as Geysir and Gullfoss are still free to visit, but the introduction of entrance and parking fees is surely only a matter of time. Iceland remains my favorite travel destination, but hundreds of thousands of people each year are coming to see what the fuss is all about. Without hesitation, I encourage you to be one of them, but don’t expect to have the place to yourself. Great images and fun to see another take on the places I also visited in Iceland. Your first image in this post is my favorite! I remember from one of your Iceland posts that the images (the black and white ones, I think) were taken on that south coast stretch of the ring road from Seljalandsfoss to Jökulsárlón. We must have taken a hundred photos at Jökulsárlón – and the image at the top quickly became my screen saver when I got back to work!